Combining multi-functional features and universal layout, Blog Pro App for ZOO is a modern solution for building a blog using ZOO - popular Content Construction Kit for Joomla. The product comes as App with all necessary elements and template layout which is friendly to the popular front-end frameworks and is compatible with the most modern Joomla templates where Uikit and Bootstrap 3 are used. The main advantage of Blog Pro App for ZOO is a ease of use - it’s enough to install the bundle, use all in one features and start blogging with ZOO. Micro Post. Minimal number of elements. The best for small website. Post. Full features. Ideal for active blogging. Page. Type for static content. Gallery. Display milti purpose gallery. Video. A page with content from external video service. ZOO comes with simple template layout and its Apps are needed to be compatible with modern Joomla template where front-end framework included. 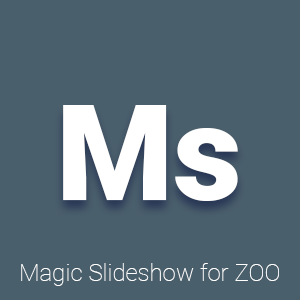 Some template developers provides a support for standard ZOO Apps in their templates, but it's limited within each product. In most cases the App require a new markup to meet Joomla template technical requirements. Blog Pro App for ZOO natively supports modern Twitter Bootstrap 3 and Uikit that makes this Blog App compatible with lot of modern templates where these front-end frameworks are in use. Layout customization no more needed. Just install this App and enjoy! Please keep in mind that some Joomla templates may use outdated version of front-end framework (I.e. Bootstrap 2). 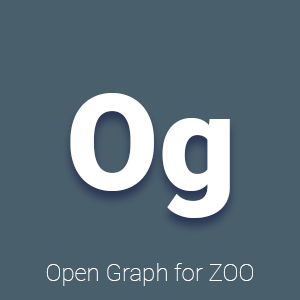 Blog Pro App for ZOO support latest versions of Bootstrap 3 and Uikit. It’s nothing's easier then to submit articles via front-end now: wherever you are, in travel or at home, you can work on your new blog posts through the user friendly UI and minimize administration actions. In submission mode all sections are divided by tabs: Content, Media, Meta and Administration. You can easily upload a photo, add a gallery or embed a video from popular services, also manage Open Graph data and just submit a content with a few clicks. Item submission have a special Trusted Mode. It enables Joomla editor for submissions. Trusted users are able to submit unfiltered HTML. (should never be enabled for public submissions!). It’s disabled by default. You can create various configurations of the same item submission and set up limits on items submissions and limits on types and etc. There is a reporting system of items submission in the back-end (articles created by users). Tools: create, edit and view. Joomla with 3 templates: Helix3 template and T3 blank template with Bootstrap 3 support and Master Theme 2 with Warp 7. 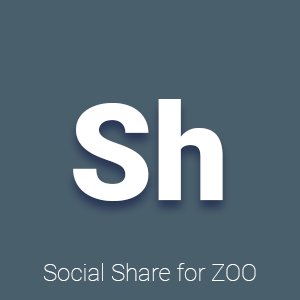 App for ZOO and all in one elements from NorrNext: Magic Slideshow, Social Share and Open Graph for ZOO. Watch live demo to examine how Blog Pro App for ZOO works with various Joomla frameworks: Helix 3 (Bootstrap 3), T3 framework (Bootstrap 3) and Warp 7 (Uikit). The App have lot of settings to create different configuration for items submission, force to load framework, override configuration of the elements and create various configurations of the content. Friendly UI for submitting new posts via front-end with minimal administrator's actions. All sections are divided by tabs: Content, Media, Meta and Administration. You need to log in and start blogging! The App includes various types of content that let you to release multi purpose website. It is be best suited for micro-posting, classical articles and posts, add galleries and video into the content item & etc.